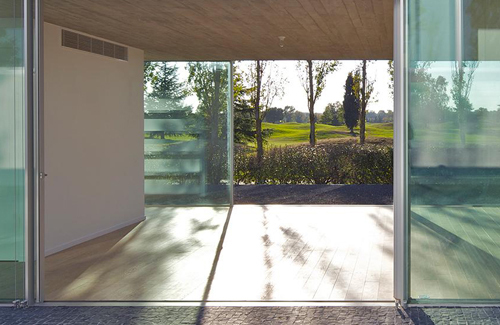 Vitrocsa Minimal glazed sliding doors and sliding windows can be up to 18m2 (up to 6 metres high), sizes that cannot be achieved with most other sliding window or door systems like skyframe or keller. Importantly, even at this size the windows slide smoothly and with ease. This is achieved by using unique patented stainless steel bearings installed in the floor tracks rather than in the window pane, ensuring the window’s stability, smooth motion and easy maintenance. 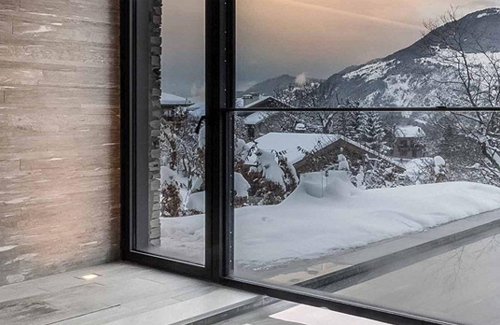 Vitrocsa Minimal UK’s high performing sliding systems can be specified with double or triple glazed units making it one of the highest performing products on the market, meeting all European performance standards. The sliding doors and sliding windows can be specified with corner, side or centre openings, or sliding into a pocket. Vitrocsa Minimal UK can also supply curved sliding doors and curved sliding windows. 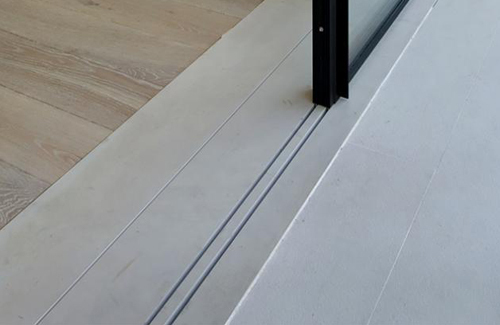 The minimal frame is only 58mm deep (same profile is used at head, jamb and sill) making it possible to install these windows in projects where the floor depth is restricted, unlike other systems. The track also acts as the drain. The floor finishes site flush with the frame creating a level access compliant with Part M.
The Vitrocsa TH+ range allows for sliding window surfaces of up to 18 m² with 32 or 44 mm double or triple glazing. The excellent insulating properties of the profiles in association with the glass enables current standards to be met in terms of low energy consumption. Our new Invisible Frame System is an application which removes the need for an internal or external architectural enclosure. Patent pending. We have launched a new V32 range with thermal reinforcement and a glass fibre profile. This range is designed for standard fixed-sliding openings. The Vitrocsa 3001 range allows for sliding window surfaces of up to 6 m² with 26 mm double glazing. 10-12 mm or 16-20 mm. This range is ideal for hot countries or internal partitions. · for high wind load requirements, mullions can be reinforced. · Sourced in in the UK and continental europe. · No proprietary strip drains required. · vitrocsa minimal recommend IGP powder-coatings. · Withstands hurricane wind loads, exceeding standard testing up to 360km per hour winds. · windows can be motorized. · motorization recommend with windows more than 500kgs. · 2-point locking (top + bottom) internal espagnolette. · all locks are security tested. · electronic and key locks are available as a special. 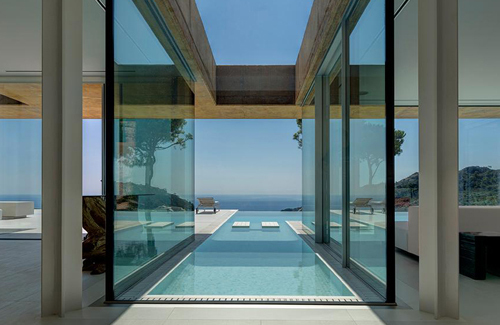 · Allows for a continuous flow of fresh air without a security risk. · Our profiles can be fitted with flyscreens so they will work the same as glass sliding panels. · Any material can be fitted to our profiles including timber, stone and steel panels – please see section ‘other’. · A curved sliding door and sliding window is available in single and double glazed.